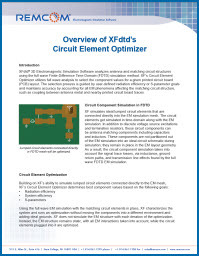 Thanks for your interest in XFdtd's Circuit Element Optimizer. Download the following resources to learn more or contact us for a personalized demonstration. 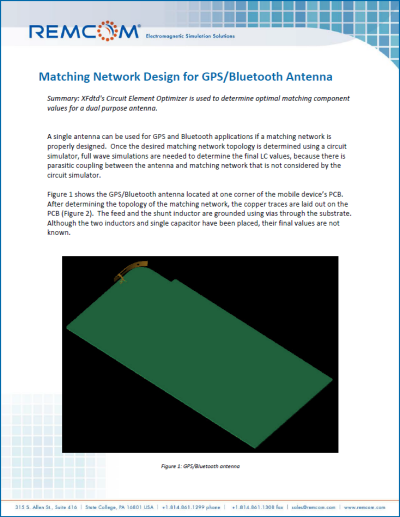 The design of a matched antenna is a fairly involved process. This webinar will show how XFdtd simplifies this process by providing tools to parameterize the unmatched antenna, determine S11, synthesize a matching network topology with Optenni Lab, and determine the final component values using the Circuit Element Optimizer. 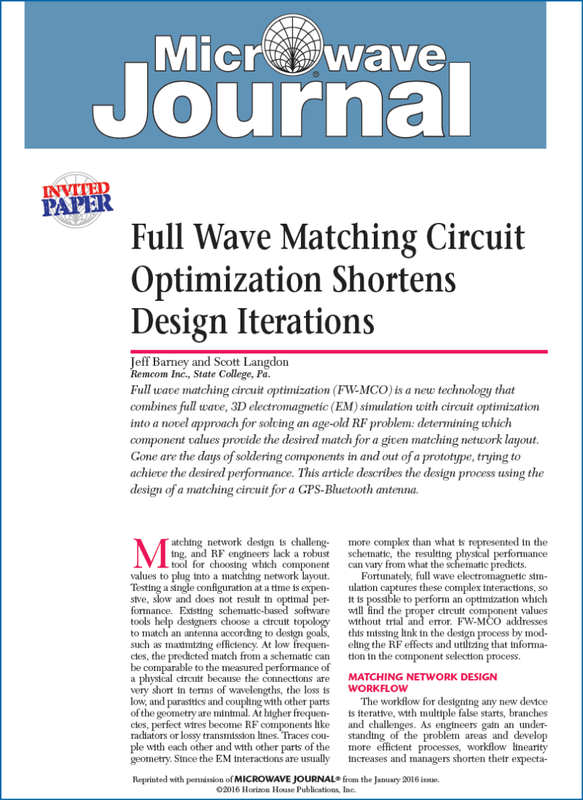 This article, which appeared in the January 2016 issue of Microwave Journal, describes the design process using the design of a matching circuit for a GPS-Bluetooth antenna. 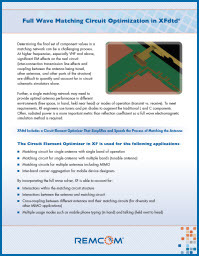 Overview of how the Circuit Element Optimizer works and the benefits it provides. 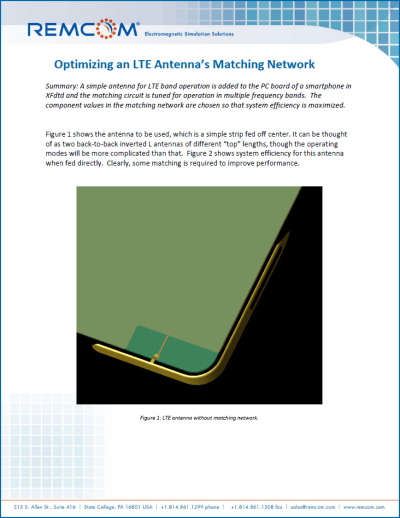 CEO is used to determine optimal matching component values for a dual purpose antenna. A simple antenna for LTE band operation is added to the PC board of a smartphone in XF and the matching circuit is tuned for operation in multiple frequency bands. The component values in the matching network are chosen so that system efficiency is maximized. Qualified companies will receive a detailed walk-through of our software illustrating the capabilities and user-experience that will help you design your application. Our team will prepare a custom demonstration based on your specific needs.